I have a tendency to get a bit obsessed with fabric collections. After a bout of bad weather in Maine earlier this summer we came home for a few days. 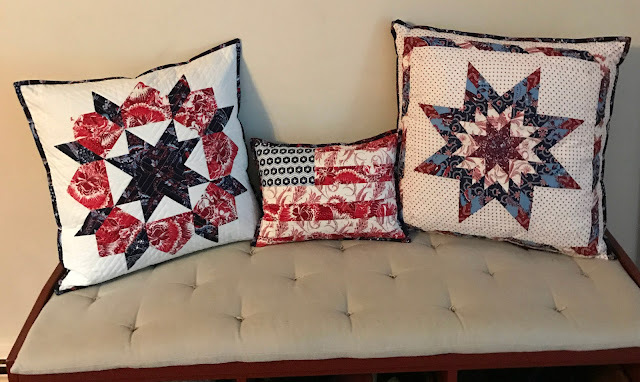 I was cleaning up my studio but when I went to put away my stack of Madison fabrics from my Star Struck pillow I decided it would be much more fun to whip up something else... next thing I knew I had a trio of patriotic pillows. These were really quick and easy since I'd already made both patterns. 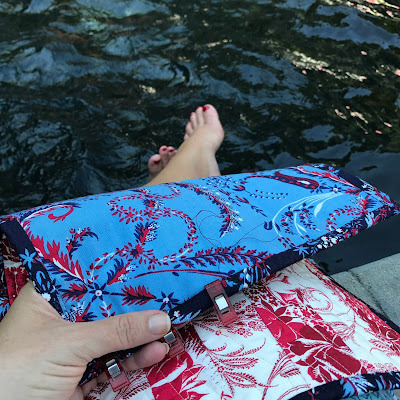 I started by copying my Kate Spain Holiday Swoon pillow. One of the things I'm obsessive about is keeping a project sheet for everything I do. It is so nice to be able to look back and see what thread you were using or how you did something. For this one I just pulled out my notes on how to resize the block to 16" and went to town on it. A Crazy Ex-Girlfriend, Season 2 binge helped the endless rows of quilting along. 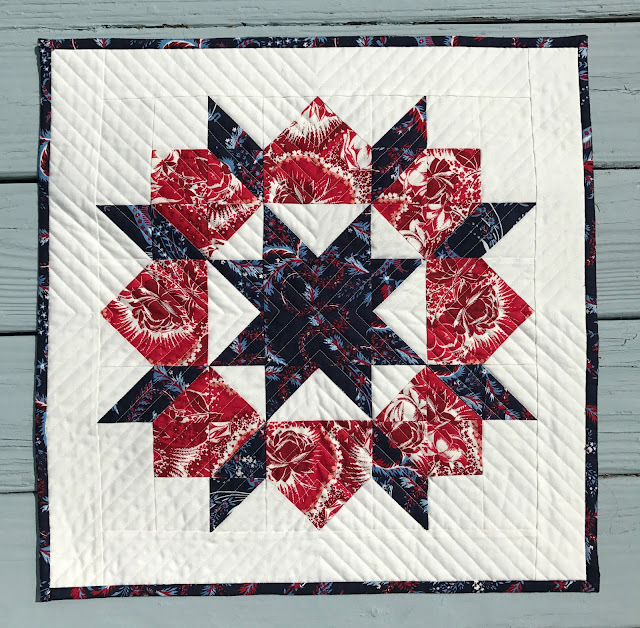 From there I went back to Camille Roskelley's Stars and Stripes pattern. 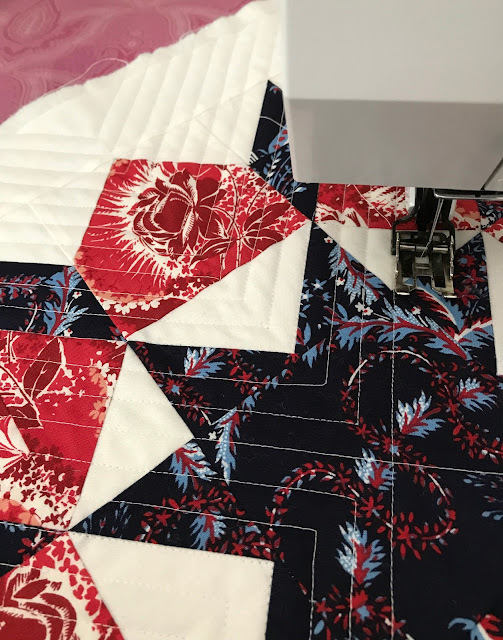 I took my own advice from my Flower Sugar version and made up a R/W/R strip set and then cut a shorter piece and then added the extra row of white to what was left and added that to the bottom. Once I was done I trimmed the length to size. 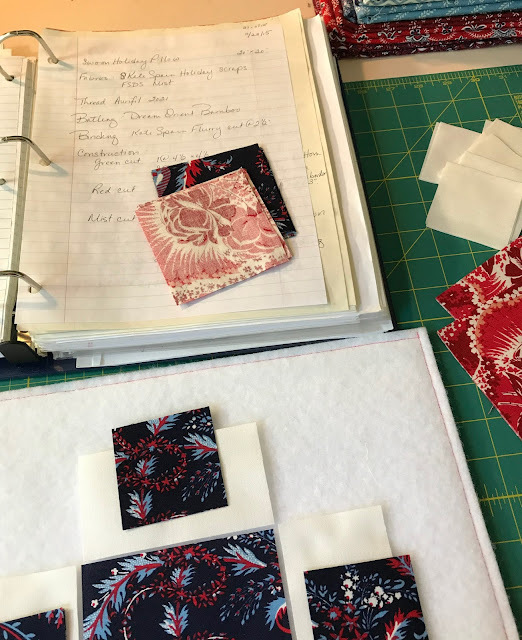 So much faster and more accurate than cutting each strip to size and sewing them together individually. 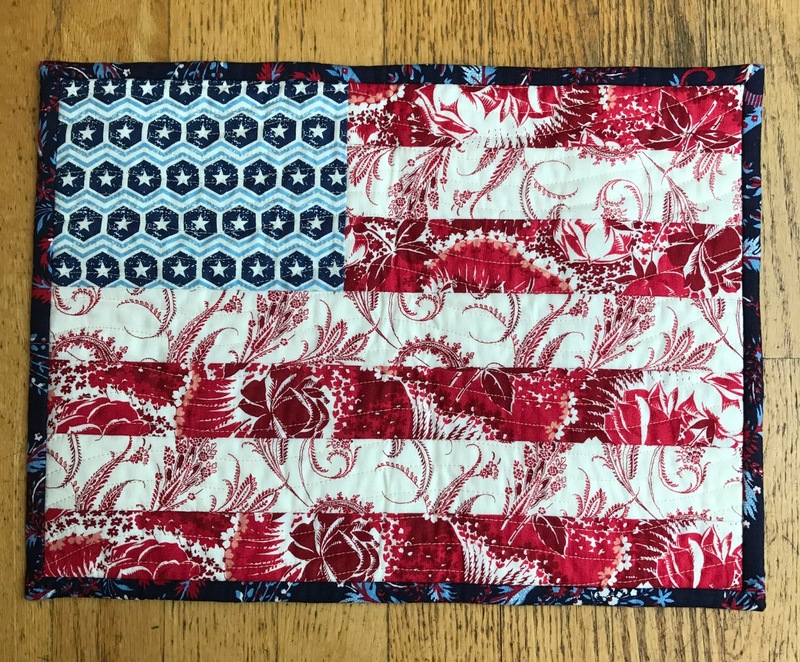 Some easy wavy line quilting and I was ready for a day of poolside binding to finish it off. Catching up with this week's Finish it Up Friday by Crazy Mom Quilts. Finished Swoon pillow is 20" x 20"
Finished Stars & Stripes pillow is 13" x 17"
Fabrics: Anna Griffin Madison prints from Marden's. Really cute, especially all three of the pillows together. AWESOME collection of Patriotic pillows! !